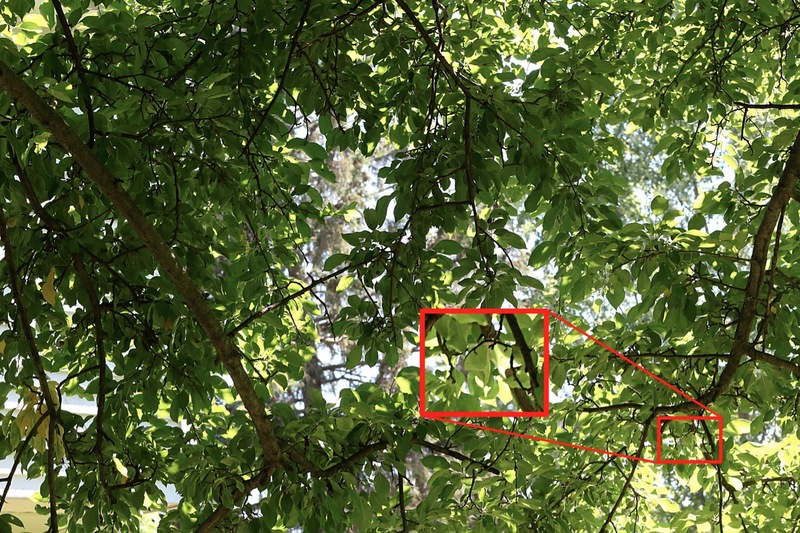 This entry was written by whyevolutionistrue and posted on June 14, 2018 at 12:00 pm and filed under insects, spot the nightjar (and other beasts), spot the ________. Bookmark the permalink. Follow any comments here with the RSS feed for this post. Both comments and trackbacks are currently closed. Beautiful. I loved this one. I didn’t find it, but what an elegant moth sitting among those leaves. 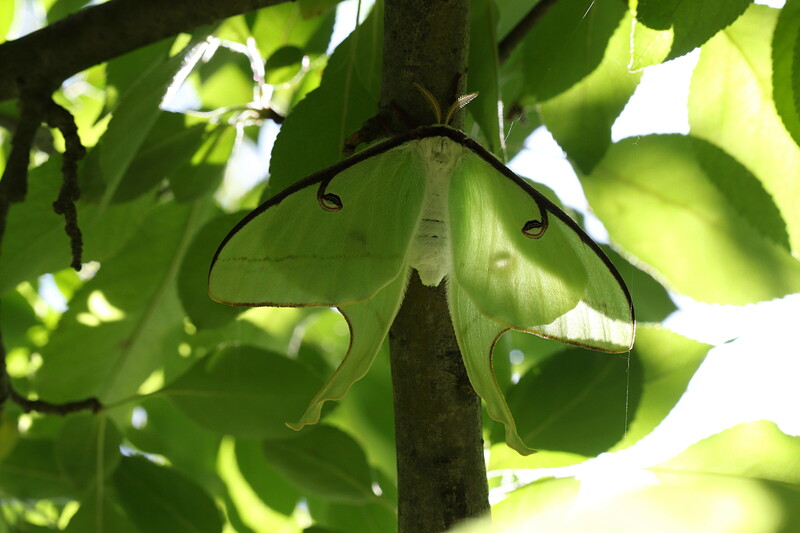 I fail at the real life Spot The Luna Moth too. If it weren’t for porch lights, I’d never see one. Hmm… scale/focus is an issue on challenges like this one. I might have had a chance if the resolution in the “find the…” image was as good as the on in the final reveal, above! The reveal picture is just enlarged, and you will easily see pixels if enlarged a bit more. The 2nd picture is taken up close. I also removed some tree parts so the moth was not obscured. How in the world did you even see it when you took the photo? That is some A-grade camo right there. 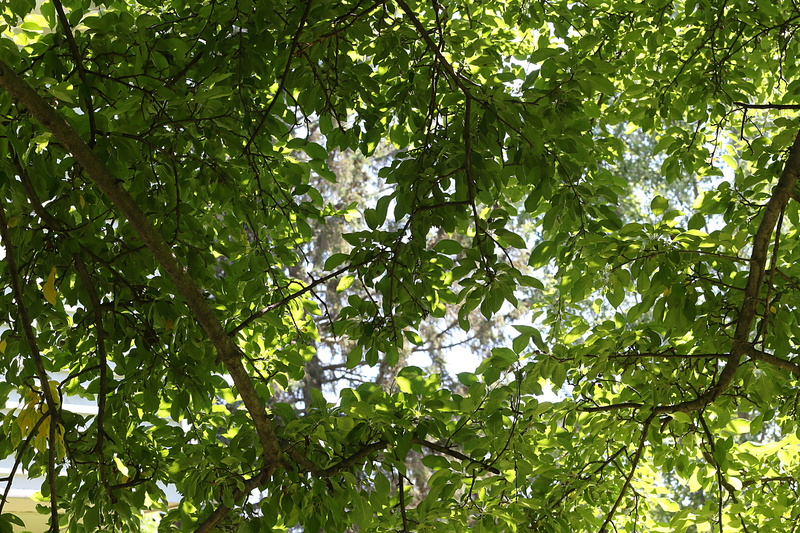 I put the moth in the tree, carefully choosing where it would best blend in. But actually I did have some moments of alarm when I looked down to check the camera, and looking up I could not see the moth right away. Did she fly away? I meant “the 2nd picture” (the 3rd picture?) by “the reveal”. Great fun, Mark, and beautiful butterfly. Loved the emergence story.